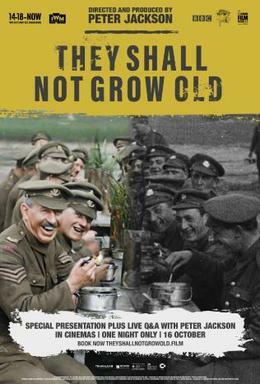 I just got back from seeing They Shall Not Grow Old @ my local theater & I thought it was pretty good, especially how the footage was tweaked so that it almost looked like it was shot yesterday & not 100 yrs. ago. There was a mini doc w/Peter Jackson where he explained how the movie was done.